The talented northerner has become one of house music’s most revered talents over the last couple of years, boasting a plethora of acclaimed releases on prestigious labels (Noir, Cajual, Avotre, MTA, MadTech); gigs at some of the world’s best clubs and events including The Warehouse Project Manchester, Mint Club Leeds, Toffler Rotterdam, Chibuku Liverpool, Arches Glasgow, a residency at Sankeys Ibiza, and a plethora of key festival plays throughout Europe. At the dawn of 2013, there was no intention of a global explosion behind Josh’s stripped back ‘Got A Feeling’ debut for Chase and Status’ renowned MTA imprint. In retrospect, the track invariably proved to be Josh’s breakout into the industry’s field of vision, racking up remix duties from Ben Pearce, long-term friend and collaborator Bontan plus Pleasurekraft along the way. ‘Got A Feeling’ not only struck a chord with key industry players but also went on to become one of Beatport’s biggest selling tracks that year, later earning Josh a coveted Beatport Award to boot. The industry cocked an ear, the don Pete Tong gave his seal of approval on the BBC airwaves and Josh was subsequently invited to do an Afterhours Mix for his Radio 1 show. Josh’s new found recognition naturally led to a multitude of labels showing interest in his work, one of which was Kerri Chandler’s highly respected MadTech who, at the start of 2014a released the acclaimed ‘No Frills’ EP to great effect and sustained Josh’s charge towards setting a new precedent in underground house. Not one to rest on his laurels, Josh soon followed up with a series of EP's on Hector Couto’s Roush, Green Velvet’s illustrious Cajual Records and Noir Music. This led to Josh winning DJ Mag’s coveted Best of British award for ‘Best Breakthrough Producer’ (seeing off competition from the likes of Dense and Pika, Leon Vynehall and Marquis Hawkes) to cap what had already been a monumental year. Josh continued his positive momentum into 2015 by announcing a special back2back tour with Bontan. Accompanying the tour, the duo released their second collaborative single ‘Live My Life’ (the follow-up to ‘We Found a Place’ on MTA). This time, Vula from Basement Jaxx fame stepped up to provide the stunning vocal line and the track was once again universally acclaimed, once again scoring top-end BBC Radio 1 support from Pete Tong, Annie Mac, Danny Howard and Toddla T.
Partway through the Butler & Bontan tour, the multi Grammy award-winning Nile Rodgers came across their music and was so impressed that he subsequently asked them to warm-up for him and Chic during their UK tour. Collaborative projects aside, Josh’s main focus is still very much on his solo career and is tirelessly dedicated to keeping the music coming. 2015 was another year of highlights - an outing on Steve Lawler’s VIVa music, Santé’s Avotre and again for Noir Music. In addition, another career landmark came around when Fatboy Slim asked Josh to remix ‘Love Life’ (featuring Macy Gray) for the 15thanniversary re-release of ‘Halfway Between the Gutter and Stars’. Outside the studio, Josh’s gigs diary us well and truly flourishing with his worldwide appeal growing by the month. His undiluted brand of house music and ‘less is more’ approach has seen him tour all four corners of the globe. 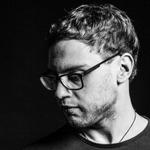 In 2015, he scored his first summer-long Ibiza residency at Sankeys (plus additional dates at Amnesia and Mambo), multiple festival plays including SW4, Parklife, Secret Garden Party and his debut in the United States. With a whirlwind couple of years behind him and many accolades and personal goals already achieved, Josh Butler is all about building that positive momentum towards new and compelling heights. He has global ventures on the mind and a pledge to keep dance music in the hands of those who truly savour the art over its mainstream properties. Proving that familiarity can still be fresh and ability is in the control of its beholder, Josh Butler is proving himself as a force to be reckoned with.